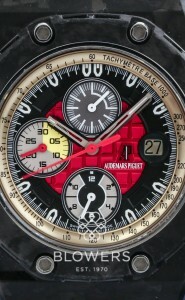 Audemars Piguet is one of the three “great dames” of Haute Horlogerie, alongside Patek Philippe and Vacheron Constantin. 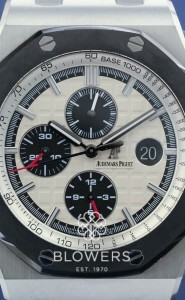 Based in the Swiss Valleé de Joux, Audemars Piguet is renowned for complicated watches such as minute repeaters, tourbillons and grand complications. 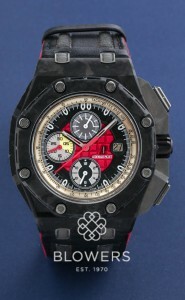 Popular collections include the Millenary, Jules Audemars, Royal Oak, and Royal Oak Offshore. 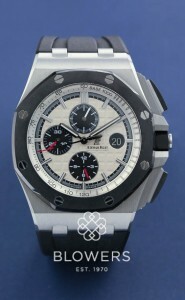 Browse Blowers’ stock of pre-owned Audemars Piguet watches. All watches come with a minimum one-year guarantee. 0% finance available. All watches are physically available at our Kingston upon Hull boutique, or by appointment, at our London office in Mayfair. Looking for a particular model? Get in touch and we will endeavour to source it for you.